How Do You Want To Use Your Membership? Click Here To Read The Publication! WATCH US WIN 2018 CHAMBER OF THE YEAR! In July 2008, about 100 of the city’s most influential leaders attended the first official coming-out party. The vision for the organization? To inform and connect the downtown Des Moines community. But despite the overwhelming enthusiasm, growth didn’t come overnight. It took hard work and dedication to turn the Downtown Chamber into what it is today. In 2009, Brian Waller was hired as the first executive director of the organization. Waller started the first recurring program series — the Journey — in 2010. It gave local CEOs a platform to tell their stories, advice and more to Chamber members. Two years later, Jennifer Chittenden was named the second executive director, and her leadership led to perhaps the organization’s most important transition. In 2015, the Downtown Chamber significantly increased its budget and created an outreach committee to better understand its members. What came from the initiative were the beginnings of the Chamber’s two signature programs — Downtown DIG and LEAP — in 2015. Just three years later, those programs were integral in helping the organization win the 2018 Chamber of the Year award from the Association of Chamber of Commerce Executives (ACCE). 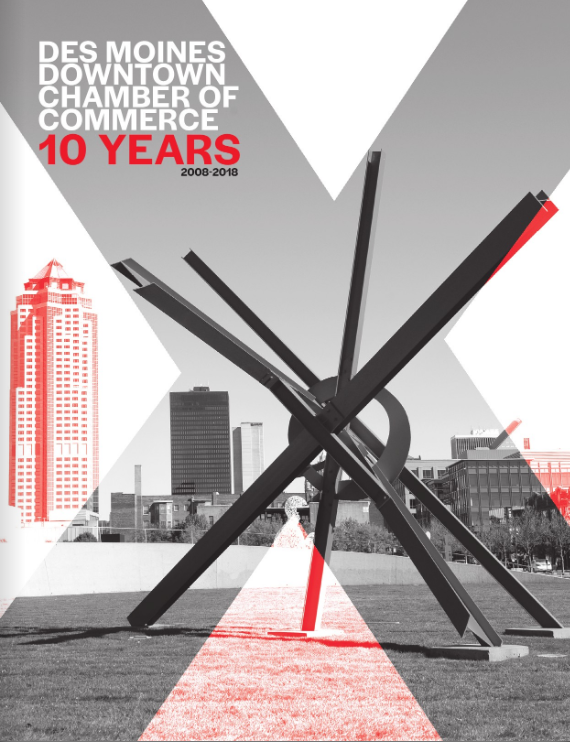 It took just a decade for the Downtown Chamber to garner national recognition. The vision, and guidance from countless leaders has allowed the Downtown Chamber to better serve the community via programs, resources and advocacy. You've Seen Our History- Want To Be Part Of Our Future?